According to the number of grantees of the RSF only Moscow and St. Petersburg universities are ahead of UrFU. 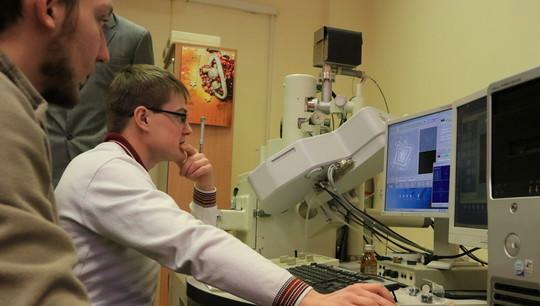 The Institute of Natural Sciences and Mathematics received seven grants, which provide funding from 4 to 6 million rubles annually each, the Institute of Humanities received three, the Institute of Chemical Engineering and the Institute of New Materials and Technologies received two each, the Institute of Physics and Technology got one. The scientific groups research such topics as methods for solving ill-posed tasks of remote sensing of the atmosphere (the research group is led by Vyacheslav Zakharov), Napoleonic wars (led by Olga Porshneva), development of new hydro-metallurgical processes (led by Stanislav Naboychenko) and others. According to the Director General of the RSF Alexander Khlunov, in 2017 the largest scientific fund of Russia supported about 30 thousand scientists, allocating 18,5 billion rubles for three thousand grants. Ural Federal University is considered to be one of the leaders. In 2017, the implementation of projects supported by the RSF within the framework of the four tenders of 2015 was completed. All three tenders provide opportunity for extending the duration of projects for one or two years on a competitive basis. In addition, the foundation announced a competition for individual scientific groups with the start of funding in 2018. The RSF sums up the results and publishes the lists of the winners of these competitions. 3,654 applications were received by the organizers of 'Conducting fundamental scientific research and exploratory scientific research by individual scientific groups', 96% of them were accepted. Experts conducted more than 12,500 examinations and decided to support 525 projects. The competition provides opportunity for possible extension of projects for one or two years.